27 Years of Service and Counting! 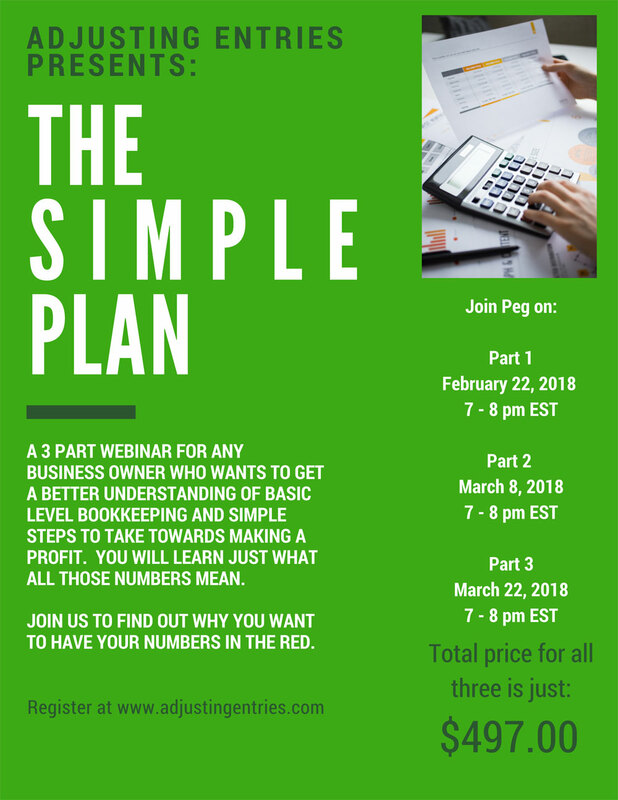 By clicking submit, you are agreeing to register for the above 3 part webinar. You will be directed to PayPal to complete payment. Adjusting Entries is an Accounting Services company that offers bookkeeping, cost analysis, financial statements, payroll, tax preparation and bill paying. We are dedicated to providing the highest level of service within our industry by communicating and understanding our customers needs. In doing so, we strive to provide our portfolio of services to customers in an ethical manner.